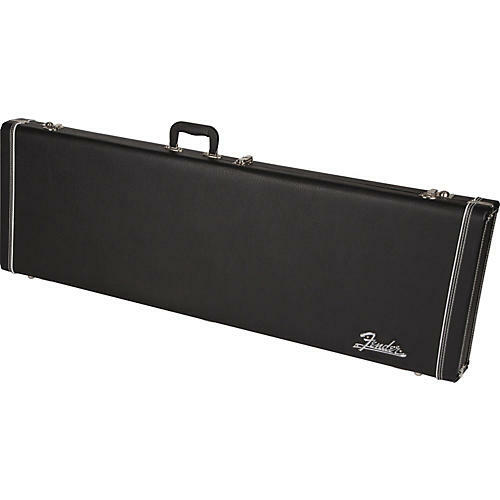 The Fender Pro Series Case captures the quintessential look and feel of classic Fender. Designed to be lightweight and durable, this modern case maintains traditional design styling. The universal interior allows for a comfortable fit for most right-handed P/J bass models and is lined in soft black plush. The interior also has two accessory compartments and an extra wide neck support. Exterior features chrome hardware and two locking latches.